OTTAWA August 28h 2013 Check Mate! accepted at Military Research Centre - Check Mate! L-R: David Smith, Ms. Jane Naisbitt (Head, Military History Research Centre Canadian War Museum), Dr. Peter MacLeod (Historian - Pre-Confederation, Canadian War Museum), and Chris Milligan. - - - Ms. Naisbitt accepting Check Mate! 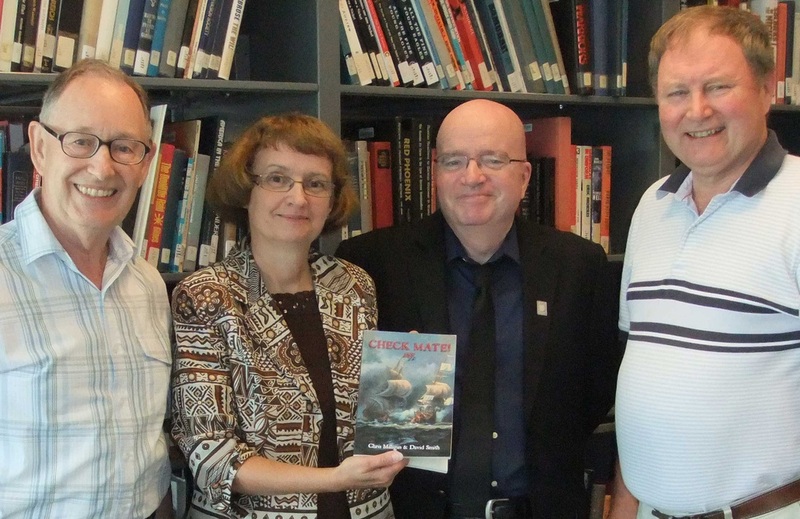 and Le Pélican and Early Canadian History (their 2006 book) , for inclusion in the library holdings of the Military History Research Centre, Ottawa on Wednesday, August 28th 2013.